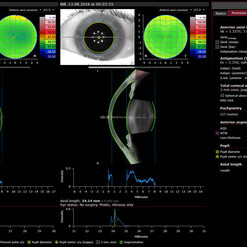 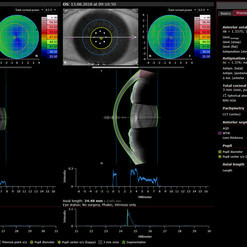 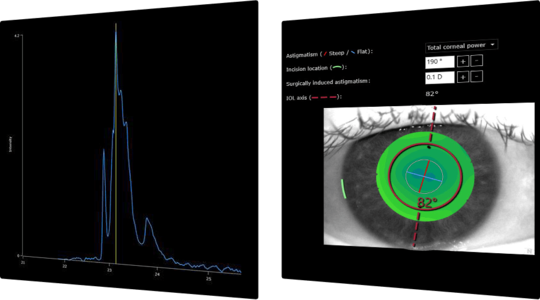 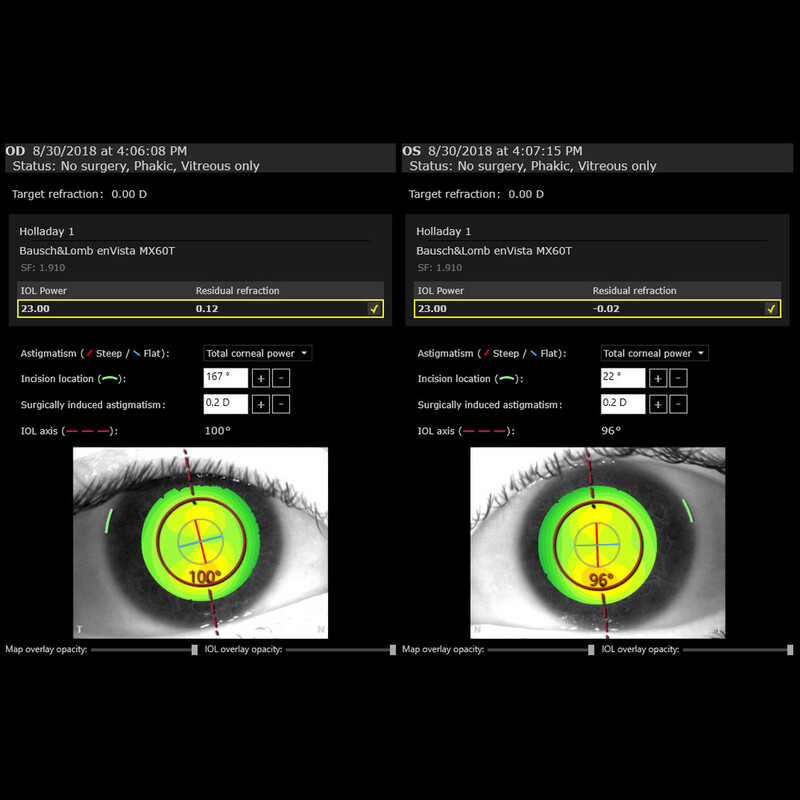 The ANTERION® Cataract App combines key measurements for cataract surgery planning: corneal analysis, anterior chamber depth, lens thickness, and axial length. 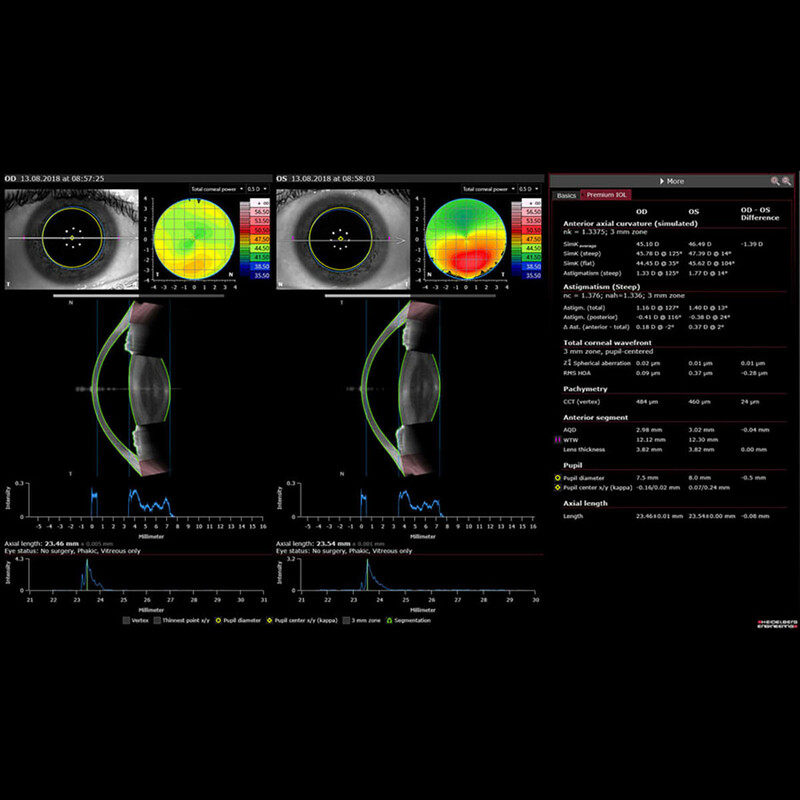 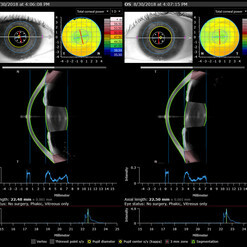 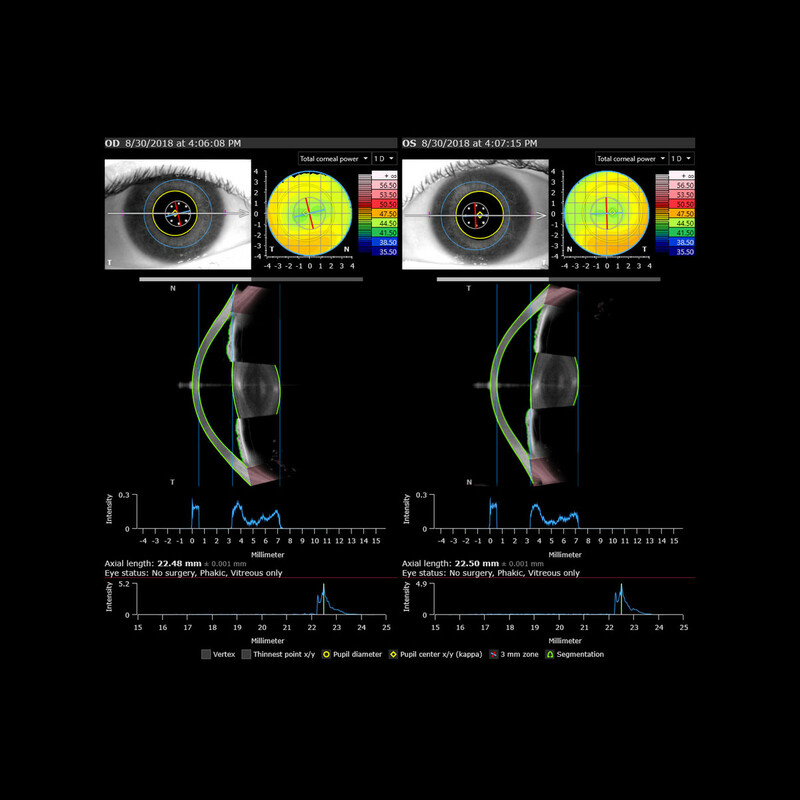 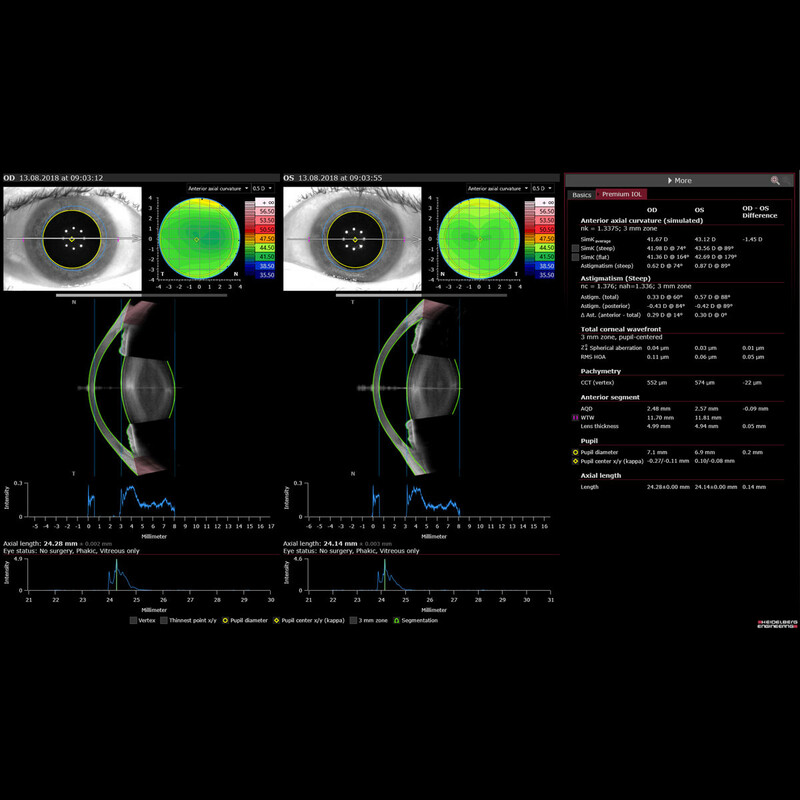 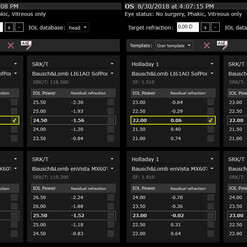 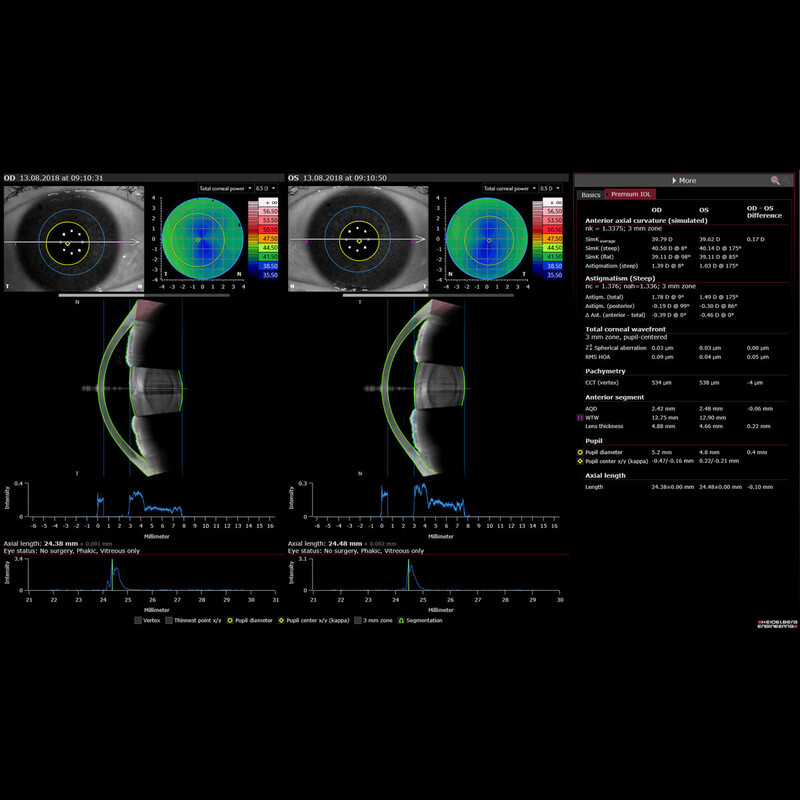 The optimized swept-source OCT technology allows for accurate measurements and visual confirmation with high-resolution images even through dense cataracts. 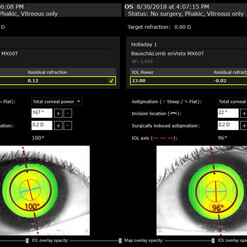 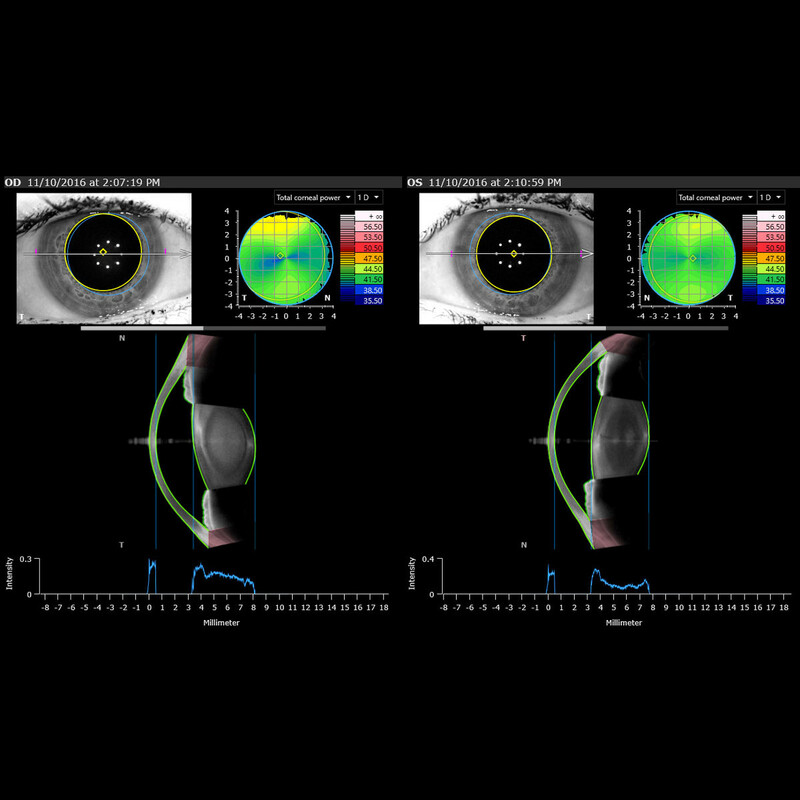 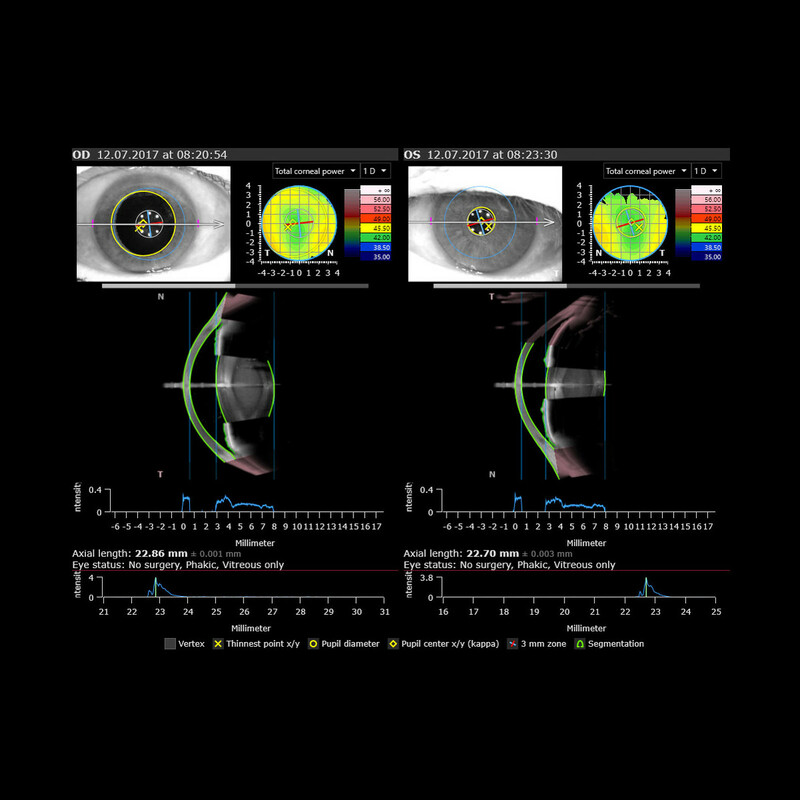 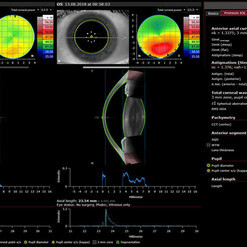 The ability to assess total corneal power leads to a more suitable IOL selection, while the integrated spherical and toric IOL calculator adds convenience to the pre-operative routine. 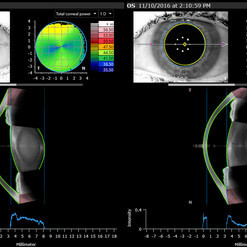 With impressive high-resolution OCT images that span from the anterior surface of the cornea to the posterior surface of the lens, the Cataract App provides a visual analysis of the whole anterior segment. 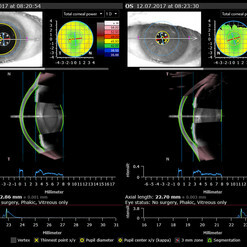 Seeing such exceptionally clear images supports precise surgical planning.